As mentioned in my July 18 blog, our annual Iowa Employer Benefit Studies© have revealed that if health insurance trends continue in Iowa (based on the average five year history of rate adjustments), employers could be paying an average annual single and family premium of $13,295 and $35,000, respectively, by the year 2021. We all know this is clearly unsustainable. Based on these numbers, the “Perfect Storm” is brewing during the next five years in Iowa – and beyond. Here’s why. The Affordable Care Act (ACA) has an ominous provision surfacing in 2018 that will greatly impact the cost of health insurance offered by employers in Iowa and around the country. 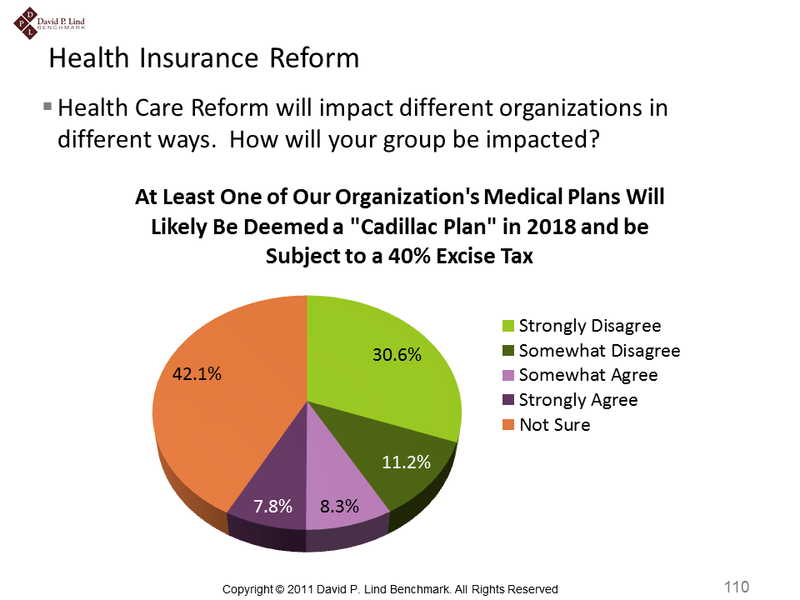 Known as the “Cadillac” tax, employer health plans that reach a pre-determined threshold of annual premiums in 2018 and beyond ($10,200 for single and $27,500 for family) will be charged an excise tax of 40 percent for any premium over these amounts. From our survey of Iowa employers in 2011, most employers don’t think they will be affected by this provision (see below). So is it possible for Iowa employers to have premiums this high in about five years? 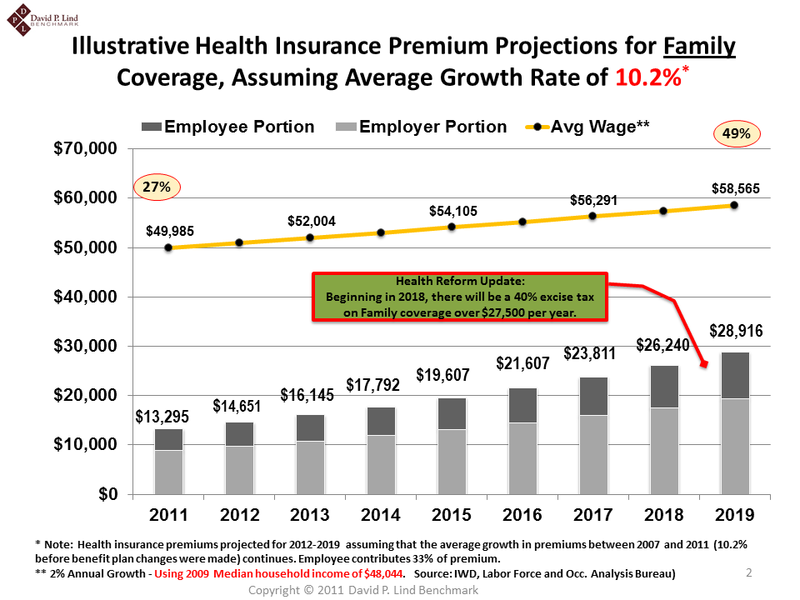 As illustrated below, the average Iowa employer family premium in 2018/2019 could be hovering around the threshold amount of $27,500. This means about half of Iowa employers will be averaging premiums above this amount and paying the excise tax, while the other half are below the threshold amounts. (Although not illustrated here, the projected single premium in Iowa will also average around the single threshold of $10,200). Clearly, Iowa employers must make strategic decisions today and in the next few years to prevent their plans from being subjected to this “Cadillac” tax. The excise tax will only accelerate the unsustainability of employer-based premiums. 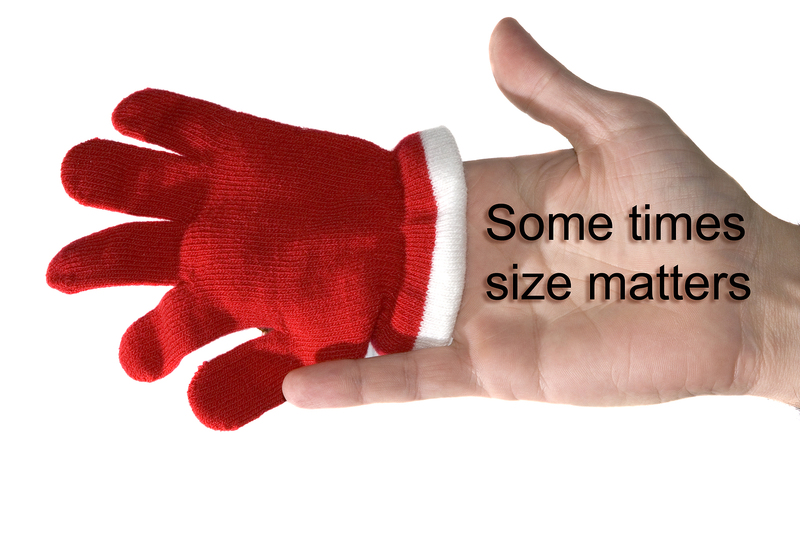 Size really does matter – it appears. 44 percent offer Medical Information to their employees through a website, newsletter, etc. 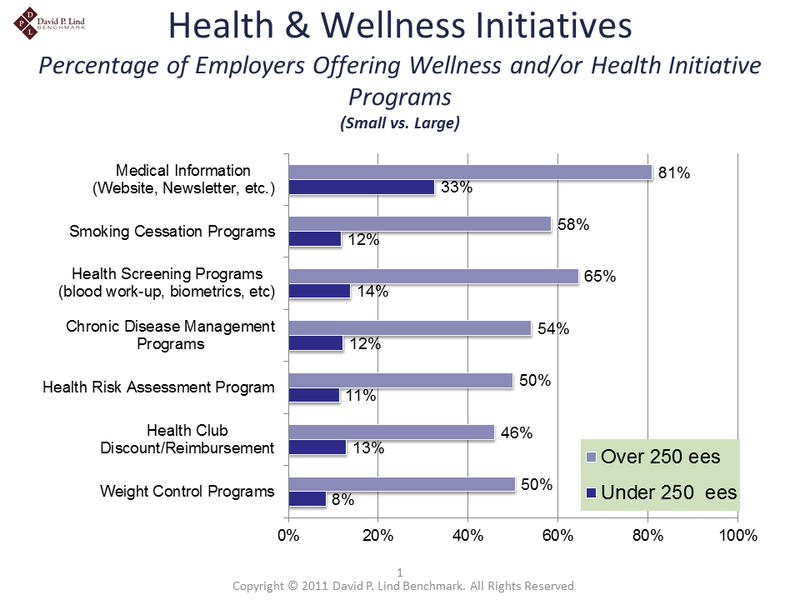 When we look a bit closer at these numbers, we see a very consistent theme (found in all past studies) – smaller employers are clearly less likely to embrace wellness initiatives (see below). A few primary reasons that smaller employers do not offer wellness initiatives relates to cost and time. 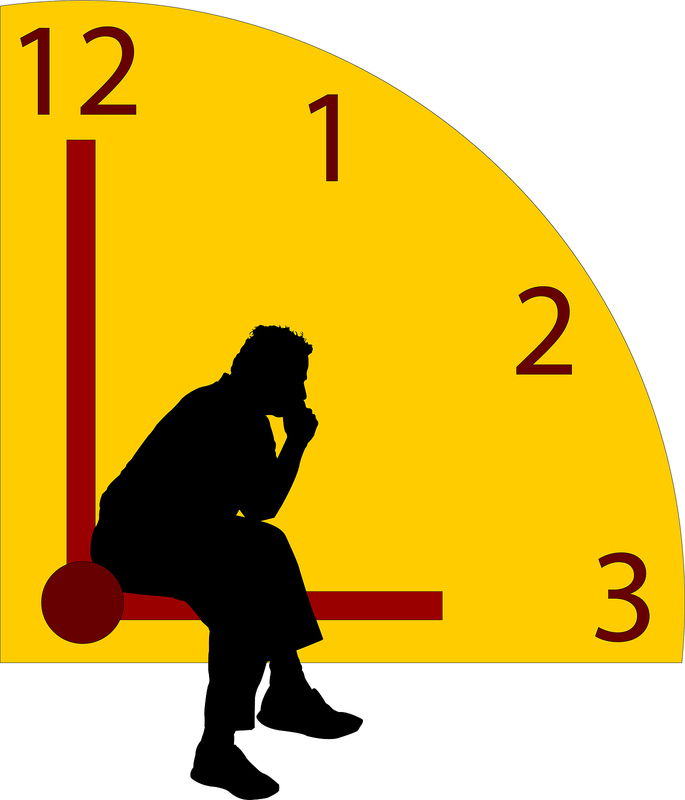 Smaller employers have fewer resources than their larger counterparts, and therefore desire to spend their time and money on keeping their business, well, in business! For the typical small Iowa employer, focusing on the basics of their business is paramount to surviving in these harsh economic times. Due to sheer cost, offering health insurance might be considered a ‘necessary evil’. But offering health coverage allows the employer to compete with other employers for qualified workforce talent. From our studies, we know that smaller employers are less likely to offer health insurance to their employees. Compared to larger Iowa employers, small employers tend to receive higher rate adjustments to their health plans, year after year. From this, small employers are forced to drastically change plan designs that shift additional costs to employees through higher deductibles and copayments. When employees have to pay more through higher cost shifting, many may forgo (or delay) seeking health care services altogether. This unintended consequence can be detrimental to the long term interests of small employers. It may be time for smaller employers to reconsider offering sensible wellness initiatives – perhaps not to expect immediate relief in health insurance premiums, but to promote a healthier, more productive workforce. 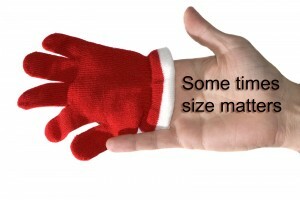 Size should not really matter when it comes to having a healthy workforce. 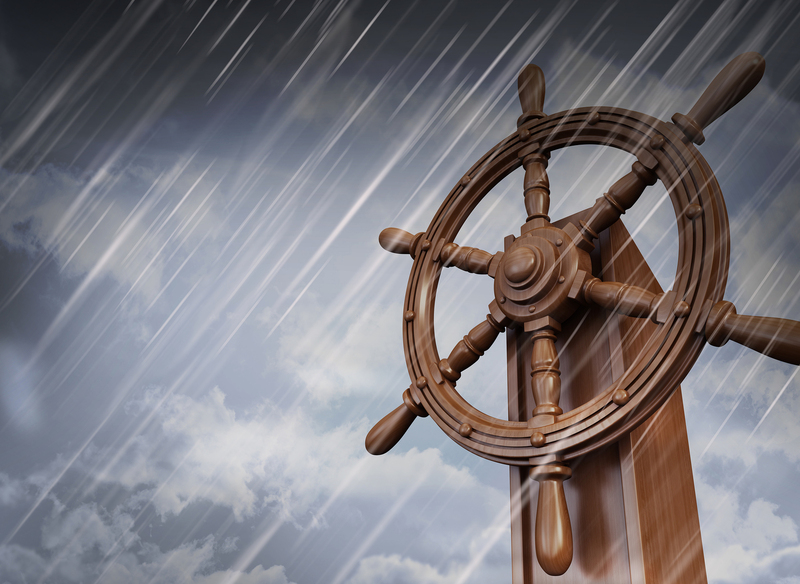 Uncertainty remains…we continue to wait. A Deloitte study was released on July 24 indicating that 9 percent of employers in the U.S. said they may stop offering health insurance in the next three years. Based on numerous study results from last year, this number is not at all surprising. In fact, we surveyed Iowa employers last summer and found that less than 6 percent of employers reported the possibility of dropping health coverage when 2014 arrives (see below). So what gives? Why do employers feel that they may no longer offer coverage? For one, in 2014 employers with over 50 employees who fail to offer minimum essential coverage will incur a penalty of up to $2,000 annually per employee. In addition, if employees are required to pay more than 9.5 percent of their income for self-only coverage, the employer would be penalized $3,000 per year, per full-time employee who enrolls in the exchange and is eligible for government subsidies…a non-deductible expense to the employer. Perhaps another more plausible approach employers might take would be to pursue a “defined contribution” strategy whereby the employer provides a defined amount of money to each employee who will then purchase coverage through the exchange. Keep in mind that by 2014, individuals will not have to worry about pre-existing conditions when applying for individual coverage. Employers may find this approach more palatable than offering their own health plan, which takes time and resources to keep the plan in compliance (and remain competitive). 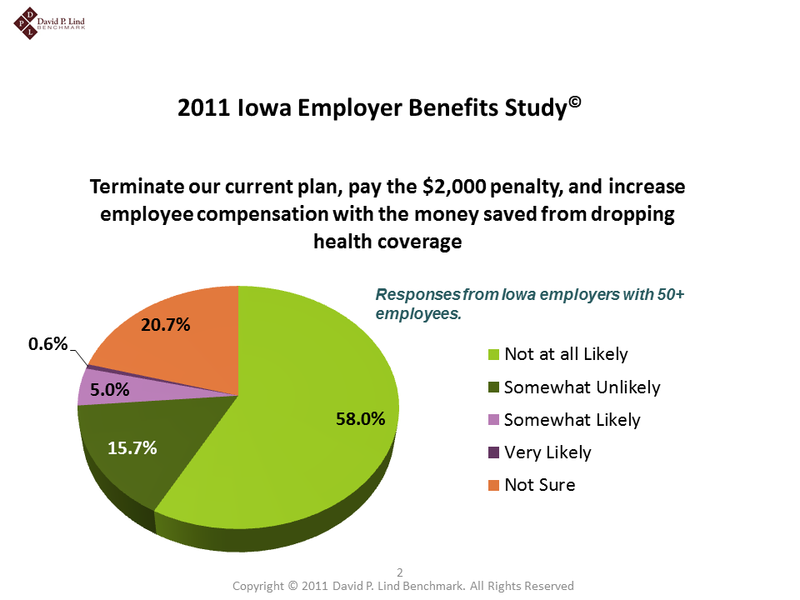 When we asked Iowa employers whether they would terminate their current group medical plan, pay the $2,000 penalty per employee, and increase employee compensation with the money saved from dropping health coverage, less than 1 percent said they were “very likely” to pursue this approach (see below). There are many studies to draw from when attempting to understand what employers will do in 2014 and beyond. Needless to say, there is still much confusion from the employer community about how the health reform law will impact their health coverage. Playing a “wait and see” approach may be the most logical strategy for the time being.